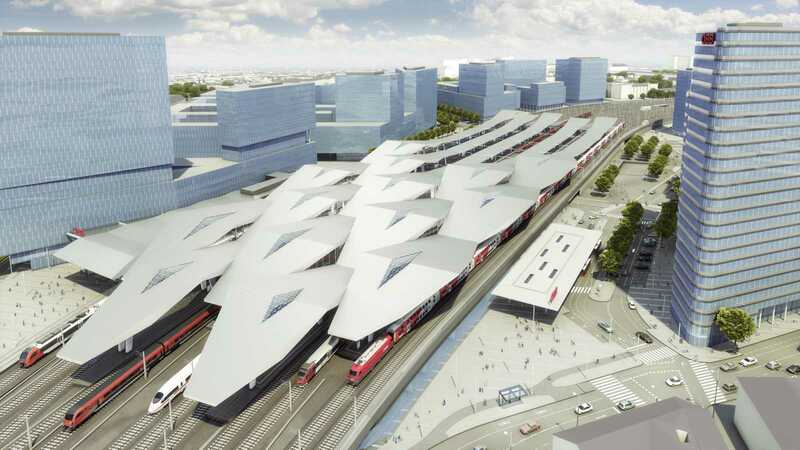 The new Vienna Central Station creates a multi-modal hub in the trans-European rail network. This project's significant importance is reflected in its architecture: a highlight is the major, partially translucent roof which will span all platforms, and brings natural light to the indoors and thus creates a natural feeling of well-being. The 40,000 sqm steel roof thus plays a significant role in delivering the first stunning impression of Vienna for visitors arriving by train from around the world into the capital city. 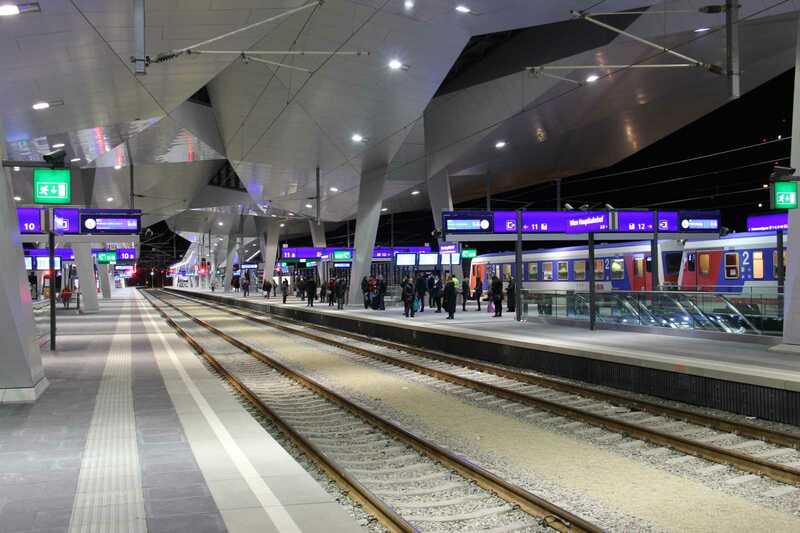 It gives a lasting impression to millions of travelers, which take it from Vienna into the world. It is an impressive design and a challenge for the architectural and structural steel accepted by the specialists at Unger Steel Group, which were responsible for the spectacular steel diamond-shaped roof construction: steel and metal work, glass and tinner work were all the responsibility of one partner. 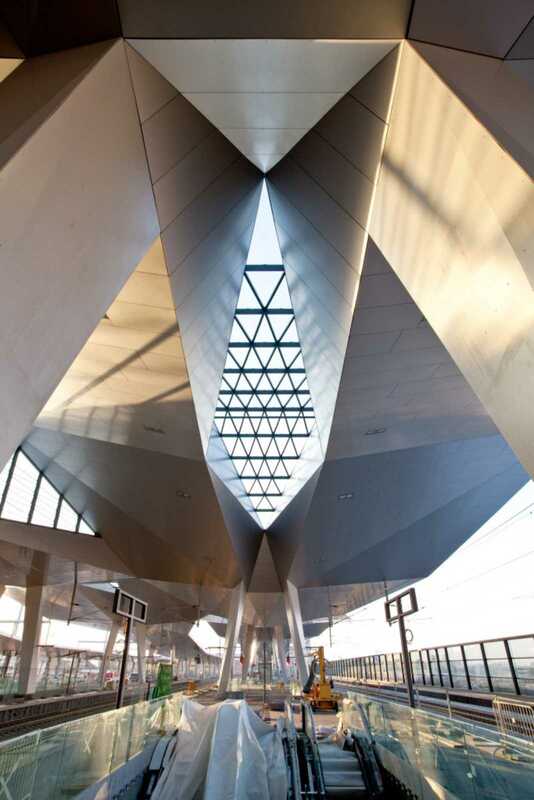 A folded diamond-shaped roof hovers above the platform. 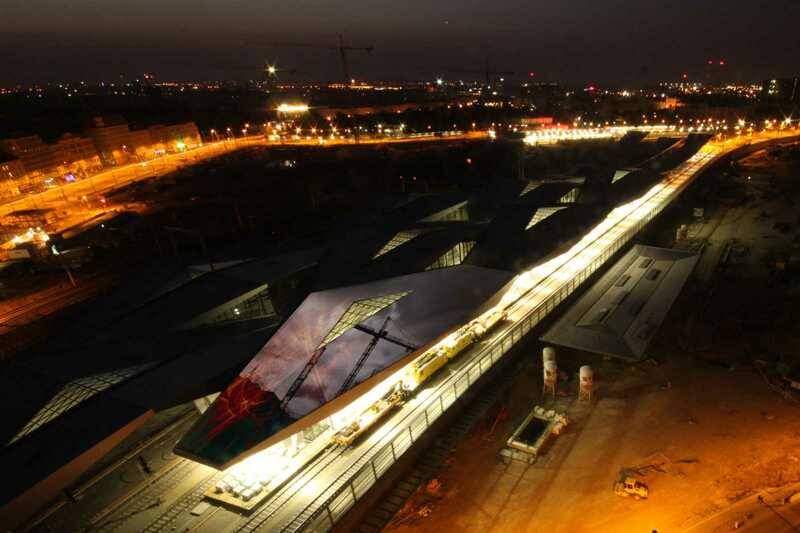 14 distinctive diamond trusses, each 76 meters long, are supported every 38 meters with massive post cross frames (PCFs). 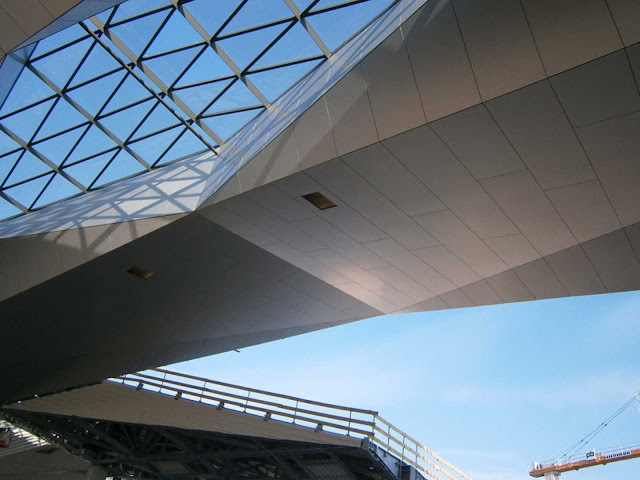 In the center of the diamond is an open design with a skylight in the form of a crystal, which is about 6 x 30 meters, which lets the light through, providing optimal illumination during the day, and magnificent light effects at night. 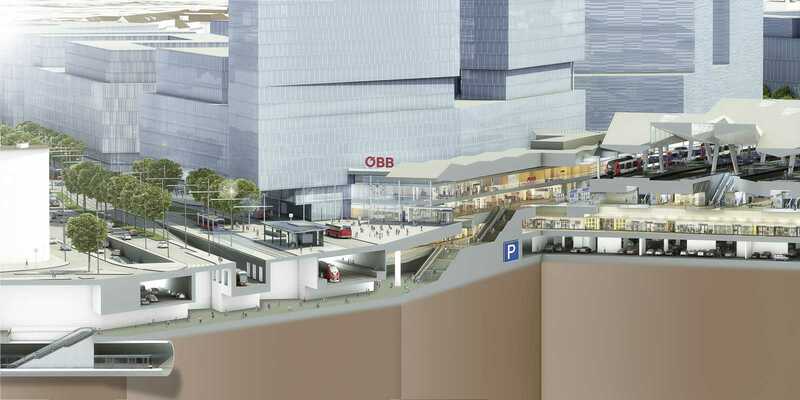 Generosity, openness and transparency will characterize the appearance of the new Vienna Central Station, with a 20,000 sqm shopping area in front of the platforms. The diamond as a technical masterpiece. 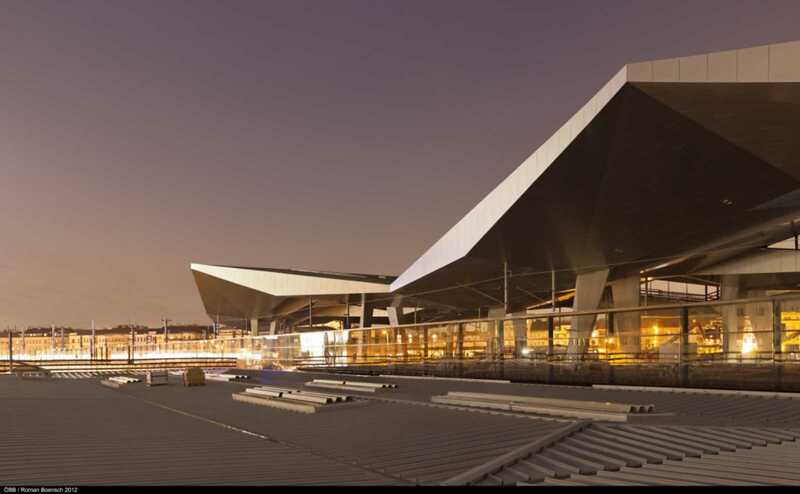 In order to bring the architects' vision to reality, a great deal of expertise and ability to create solutions are of prime importance. 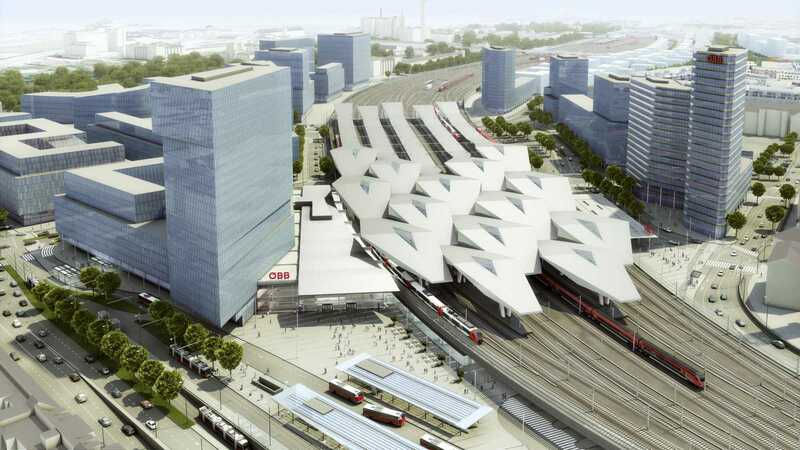 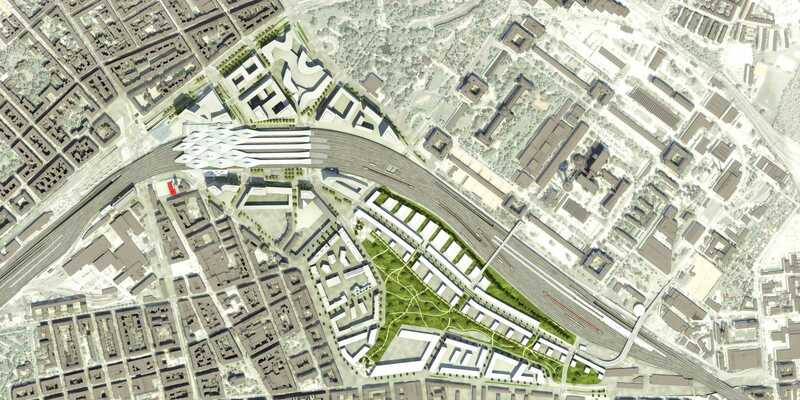 The ÖBB 'New Vienna Central Railway Station' project was a challenge from the start. 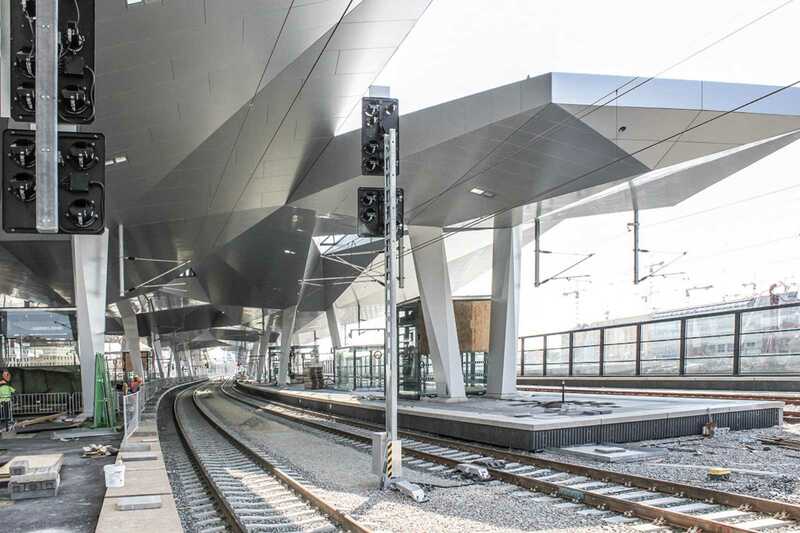 35 experts from the Unger Group, consisting of planners and builders, worked days and weeks trying to create steel structures from paintings and drawings which corresponded to the architectural designs while meeting all the proverbial building requirements. Static calculations were made, technical solutions found, and hundreds of details were developed so that the object was first created on paper, and later implemented in steel. 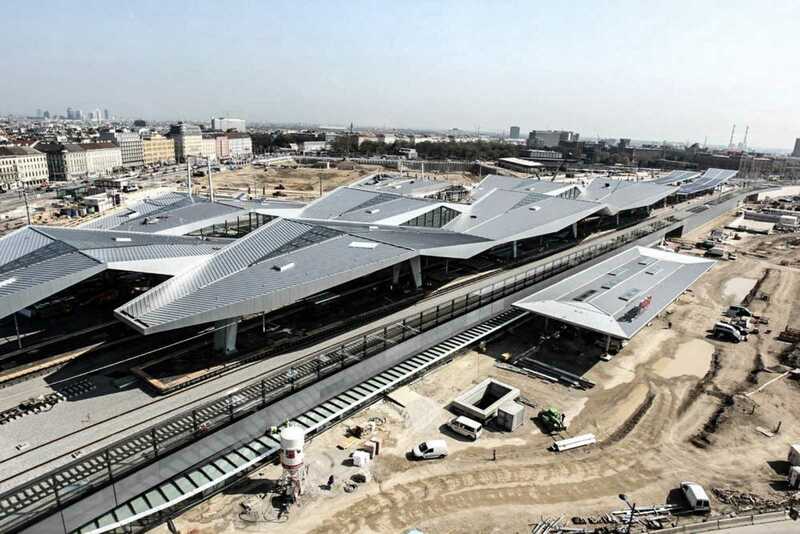 It was essential for the experts to identify all the difficulties in advance at this stage, and to eliminate all potential sources of error. 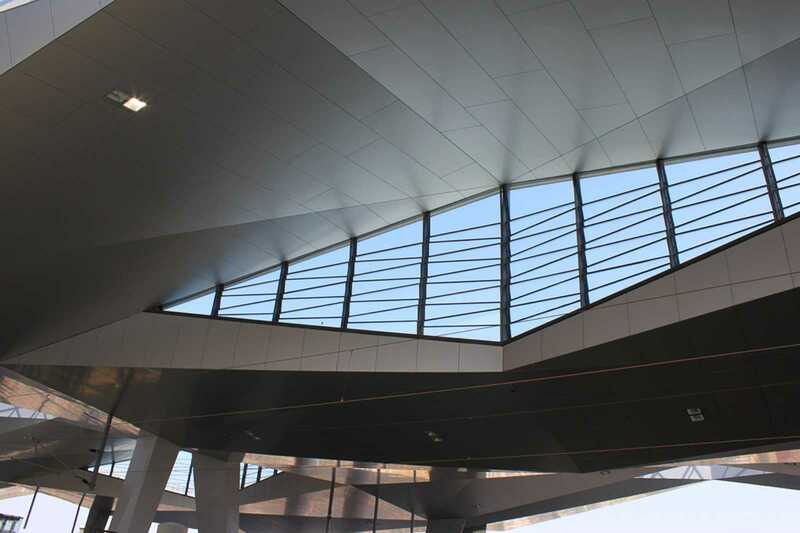 With over 60 years' experience in architectural steelwork, and the best technical equipment using the latest CAD/CAM systems for steel structures, the 'Diamond Project,' or 'Diamond Roof' was developed. 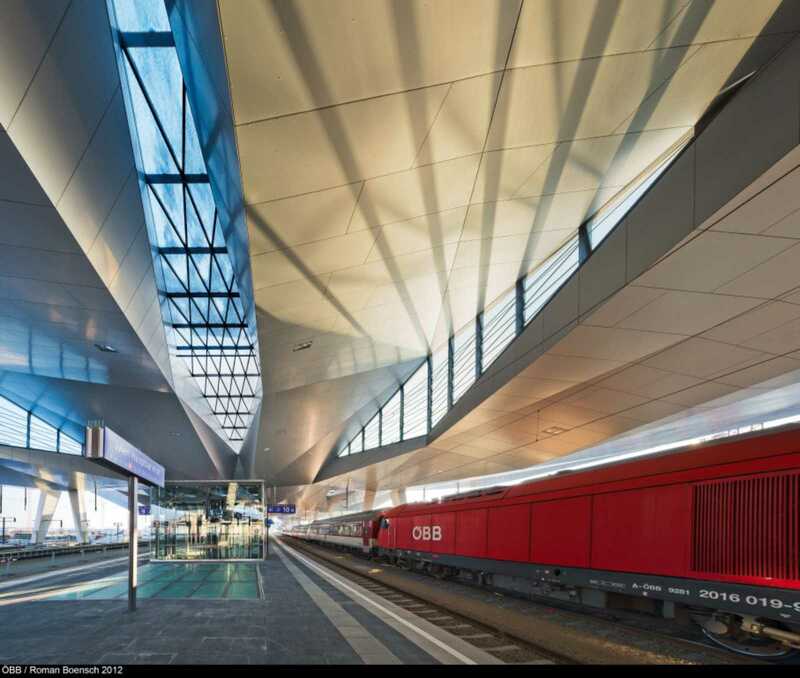 Thanks to their characteristic solutions-oriented approach, the diamond roof was created: The design shows that the architect's bold design can be made of steel.